Water damage in the basement from a burst pipe or broken appliance? A sewer line breakdown in your backyard? Damage from a fire, including smoke and residual odor? A mold infestation in your attic or basement? Ice dams along the roof line causing water to seep into your home? If you are experiencing loss and damage to your residence from any of these situations, or if any part of your home needs to be renovated or reconstructed, as a result, contact American Fire & Water Restoration today. We are a certified, full-service fire and water damage restoration company, and we also provide consulting services to survey and assess the damage you incurred as well as detail an estimate regarding the type and amount of restoration the problem will require to be fixed so that your property is restored to its pre-damage condition. If you are located in the Lake, McHenry, and north Cook Counties in Illinois, or southern Kenosha County in Wisconsin, American Fire & Water Restoration can help. We are available 24/7, 365 days a year to take your emergency call and will be at your home in 90 minutes or less to begin work. We understand how difficult it can be for homeowners to see their home and belongings damaged – and possibly permanently destroyed – by some unthinkable catastrophe. Knowing where or how to begin the cleanup and renovation only add to the stress of an already difficult situation. We are here to alleviate some of that stress and help you get on the right track to making your home comfortable, safe, and livable once again. American Fire & Water Restoration brings 25+ years of experience and expertise in the construction and damage restoration industries to every project we complete. In addition, we are affiliated with a two of the top professional organizations, including the Institute of Inspection Cleaning and Restoration Certification (IICRC) and the National Air Duct Cleaners Association (NADCA). The IICRC, globally recognized and respected, provides training and certifications as well as develops standards for the cleaning and restoration industries. NADCA is also known as the HVAC Inspection, Cleaning and Restoration Association, and NADCA provides training, education, and certification for individuals and companies who perform inspections, cleaning, and restoration of HVAC systems. Providing expert witness testimony and support should you need to litigate any portion of the restoration work that was – or was not – completed. Water and dampness can appear in your basement or attic without having come from an obvious source such as storm flooding, ice buildup, or a burst pipe. If not properly evaluated and addressed, your water issue could grow into a larger problem that includes structural concerns and worries about an infestation from mold. In cases where you already have mold and mildew or stains of moisture on basement walls, these are signs you already have a water problem. We discuss any event that occurred that could possibly have led to or caused, the water problem. We fully inspect your home from top to bottom and use specialized equipment to detect moisture wherever it resides. We detail the problem and our findings, so you understand exactly where the water is coming into your property, and why. 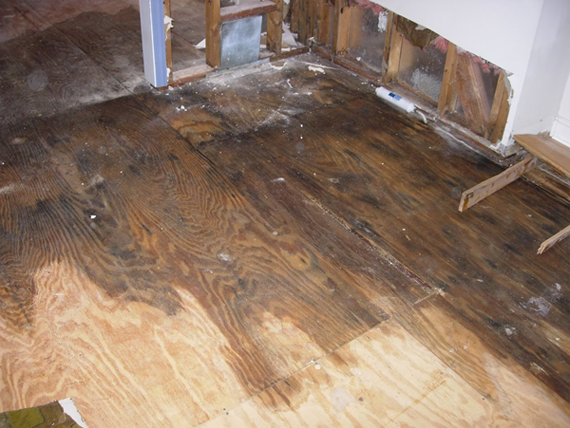 In our scope of work document, we recommend an appropriate course of action that includes use of the best drying techniques and equipment for the job; the cleaning, treating, and sanitizing of the affected area; and the restoration and renovation of any items or structural components that received damage as a result of the water in your home. Lastly, we inform you of our own services. Because we offer professional fire and water damage restoration services, we are also available to clean, dry, and restore your home to its pre-loss condition. Why Choose American Fire & Water Restoration? Every home and situation is different, and each requires customized handling and attention. You can trust the experts at American Fire & Water Restoration to provide accurate, professional advice and recommendations regardless of the type of cleaning and restoration service you need. Our goal is to keep you healthy, safe, and comfortable in your home. With prompt repairs and restoration, we achieve that and also protect the value of your home by preventing potentially worse and more costly problems for you down the road. We are available at all times to answer your questions and ensure you fully understand every detail around the damage in your home and the steps needed to repair it.Call us today for more information.